Record-appearance maker Lewis Evans made his 200th appearance for Dragons in 2017, running out in front of a home crowd against Ulster in the Guinness PRO14. Newport-born Evans began his rugby by playing throughout the Dragons age-grades and also played for Premiership sides Ebbw Vale and Newport before stepping up to professional rugby. 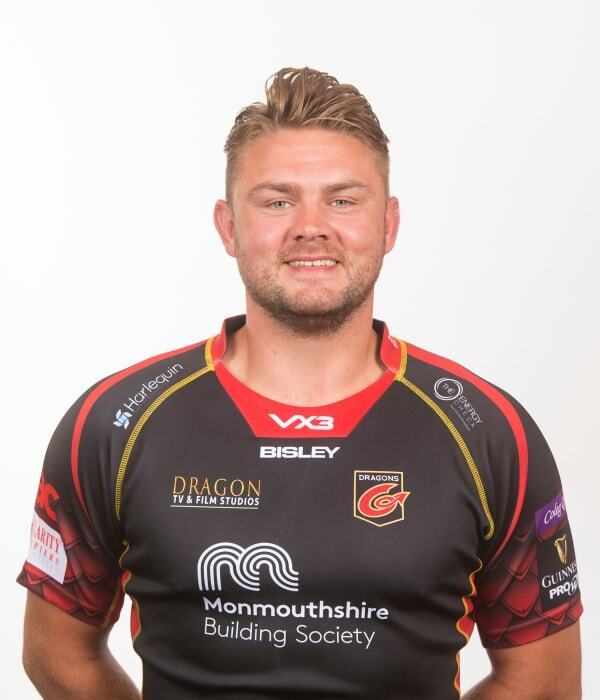 Evans has been a crucial part of the Dragons squad since 2008 and has also impressed at an international level, representing Wales at all age group levels and Wales Sevens. The versatile back-row - who can also play lock - has twice been called up by Wales. On the first occasion, for their tour of North America in the summer of 2009, he was ultimately unable to take up his place in the squad as Dragons were involved in a European Cup fourth place playoff. His second call-up came for the Australia game in Cardiff after the 205 Rugby World Cup after a number of impressive performances for the Dragons. Evans was named captain of the region for the 2016/17 season and later that campaign hit his double century for Dragons.